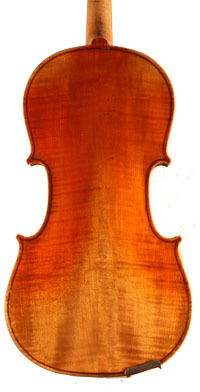 #7286 - German Trade Viola 15"
Interestingly medium figured two piece back with matching ribs. Complete set up with Pirastro Piranito strings. Deep, rich warm tone with a convenient size for anyone from beginner to advanced to play.